Just a little note to say a big thank you for all your wonderful help over recent weeks. It has been much appreciated by Mum and Dad as well as the rest of the family. have an out of hours emergency contact number for all clients. 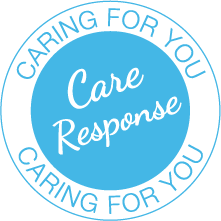 At Care Response, we provide high quality care for people who wish to maintain their independence and stay in their own home. As well as working with private individuals, we also work alongside GPs, Social Services and Primary Care Trusts to provide a wide range of services. If you think our services could be of help to you, a friend or a member of your family, then please contact us and we will be happy to arrange for one of our Managers to meet and discuss your needs. 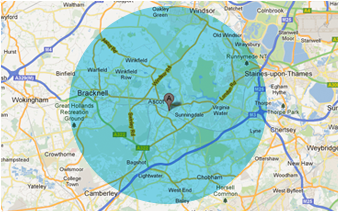 We are based in Sunninghill High Street near Ascot, and currently cover about a 10 mile radius.